Check out Tobi's Farrah Floral Print Long Sleeve Romper Oversized florals + off the shoulder charm = date night dressing. 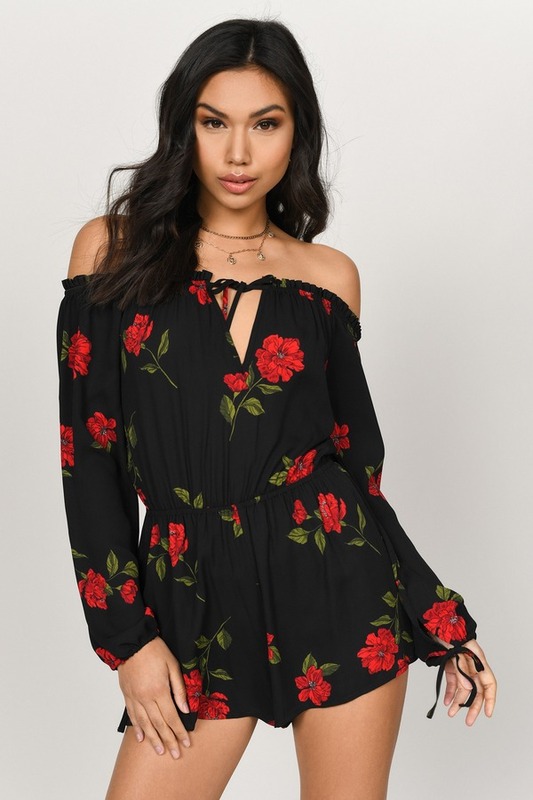 The Black Farrah Floral Print Long Sleeve Romper is a sophisticated style with an elastic off the shoulder neckline, long sleeves with tie cuffs, and a keyhole tie at the front for a flirty touch. Get ready to bloom. Oversized florals + off the shoulder charm = date night dressing. 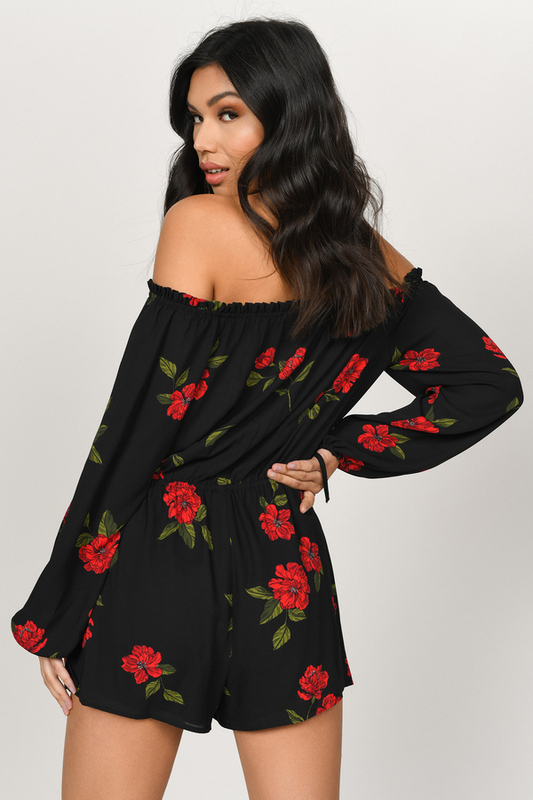 The Black Farrah Floral Print Long Sleeve Romper is a sophisticated style with an elastic off the shoulder neckline, long sleeves with tie cuffs, and a keyhole tie at the front for a flirty touch. Get ready to bloom.